Electrical utility companies have a responsibility to safely install, maintain, and warn people about the presence of energized electric lines, whether the lines are strung overhead on poles or buried underground. Yet many people are killed or injured each year when they accidentally come into contact with electric lines, either on the job or in their own back yards. Contact with electric lines can cause burns, shock, nerve or heart damage, and death by electrocution. 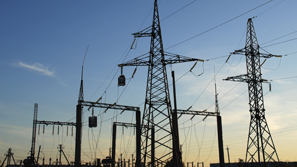 Electric line injuries often are the direct result of negligence by utility companies. Utilities are bound by certain laws and regulations that govern where lines are strung or buried, the height or depth at which they are placed, proximity to buildings and trees, and other factors. We have successfully handled several electric line cases. When someone is injured or killed by an energized electric line, the lawyers at The Law Offices of Frank L. Branson can help determine who should be held responsible. And we can use our cutting-edge audio-visual capabilities to create convincing multimedia presentations to illustrate exactly how an accident occurred and who was at fault. To learn more about our experience in energized electric line matters, we invite you to contact the firm here.